When my first baby, Max, was born (four years ago - eek!) I was a real stickler for using only natural, super mild products on his skin. It seemed weird to start adding coloured bubbles to his bath and fragranced body washes to his flannel when his skin was so delicate and well, new. Maybe it was the beauty editor in me - after all, I read so much about the sorts of ingredients brands use to make things foam/smell/feel that it influenced the choices I made on my own body care - so why should it be any different for my baby? And that's when things got tricky. If you're after natural, mild, bath and body care products (that won't leave your skin feeling like sandpaper the second you step out of the bath please) for you, then you are completely spoilt for choice. Okay, so you might have to dig a little deep to find the more affordable stuff - I love Aromatherapy Associates De-Stress Bath and Shower Oil but at £37, my purse doesn't - but Organic Surge Shower Gels, are just £4.35 and lovely. However, when it comes to the kids, the variety just doesn't exist. Trust me. I have looked and looked. 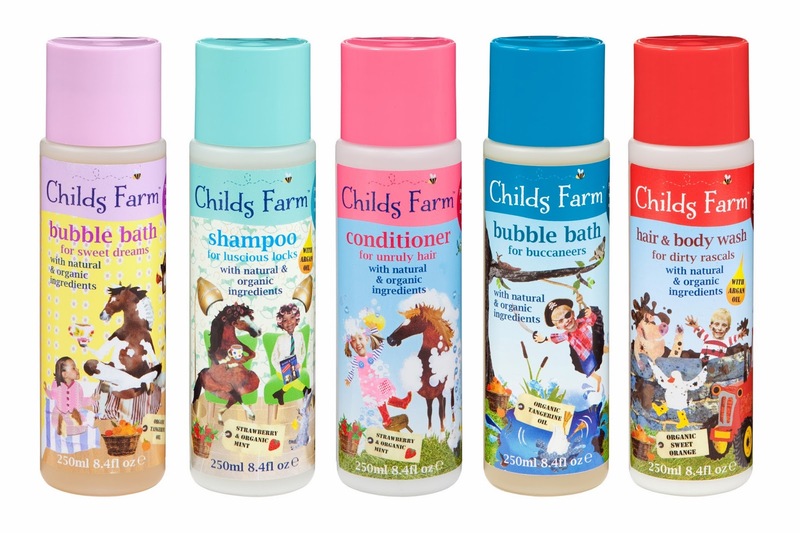 So I whooped a little and did a little finger dance on my laptop when the adorable kiddies bath and bodycare range, Childs Farm, popped into my inbox. Seriously, where has this stuff been hiding? It ticks every single box on my wishlist; firstly, at £4.69 it's brilliantly affordable, it contains over 98% natural ingredients, no SLS's (the drying stuff that makes the bubbles in your bubble bath), no artificial colours and is dermatologically tested too. Oh and I love that it all smells and looks so good; the strawberry, organic mint and sweet orange essential oils are gorgeous and check out the super cute imagery on the bottles; all taken from the real Childs Farm which is based in Hampshire. As an added note, it may be worth mentioning that the range is created by Joanna Jensen, a mum of two who, after searching for natural, fun products for her own girls fine hair (and drawing a blank) came up with her own. How great is that? (You can buy Childs Farm here at www.childsfarm.com and at Ocado, John Lewis and pharmacies).